My hair is a big part of my life and looking after it unfortunately hasn't been my number one priority lately. Over the years it's been through it's fair share of curling, straightening and colouring from one style to another and it's started to show with horrible brittle split ends with no life or oomph. After trying several treatments and getting no results, I decided to research on different things I could try and that's where I got the idea of Hair Vitamins. I've seen a few Instagram blogs and websites of popular hair vitamins including Viviscal and Hair Infinity with celebrity endorsements and I have to admit, it got me really exciting and reaching for my purse to order me a box. Unfortunately these products also came with a hefty celeb prices to match! I really didn't want to spend that much on vitamins and instantly started googling where else I could get my hands on cheaper alternatives. Firstly, be careful where you buy your vitamins from. I don't recommend buying from somewhere you've never heard of or somewhere where you don't trust because they really could be selling you anything. The only websites I went onto where big brand shops where I'd previously shopped before and knew they would never sell something that was harmful. 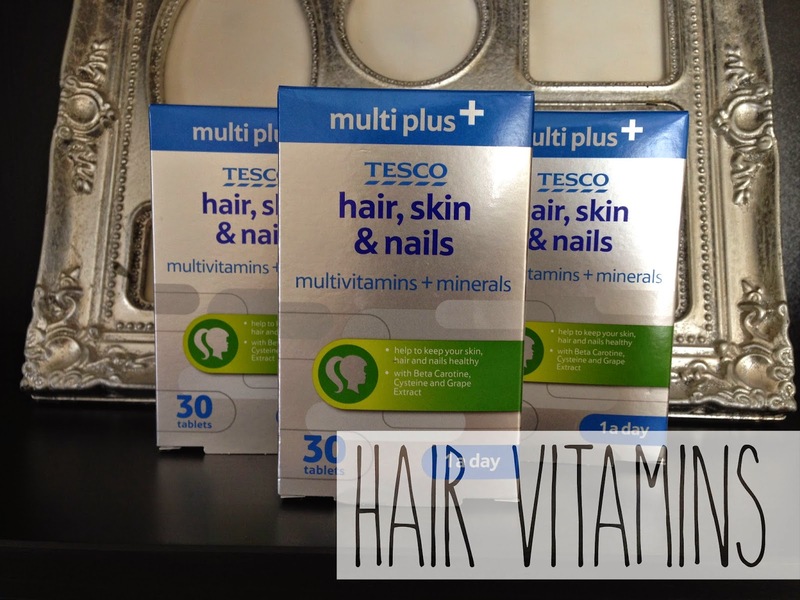 After looking for a few hours, I eventually came across Tesco's MultiPlus Vitamins. Not only are they for hair but they also help skin and nails which seemed like a little added bonus. "Nutritional support including Zinc, Selenium and Vitamin C to help maintain healthy hair, skin and nails and nourish from the inside." This is my hair now after one month of taking the tablets. As you can see I ended up buying three boxes which equaled out to three months supply. A perfect amount of time to truly test out a product and to see if a difference could be made. One box cost £3 for 30 tablets and as they're currently on offer for 3 for 2 you can get three months worth for only £6! After a few weeks, I was already starting to notice a difference to the ends of my hair. Instead of becoming really knotty and brittle looking throughout the day, my hair now looked smooth and shiny. After showering, instead of it being a right ordeal to get my hair knot-free, my comb now easily went through my hair without any problems. I've even stopped needing to use as much leave-in products after showering. 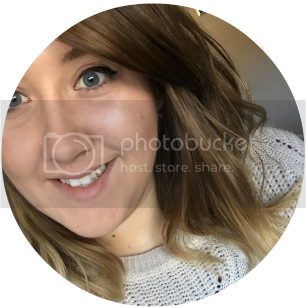 By the time I had finished my first box, the difference was amazing and I think my hair has actually grown about an inch! I did also notice that my nails were a lot stronger and wasn't as prone to breaking compared to before I started taking them. I haven't noticed much difference on the skin side of things but since that wasn't really a problem to start with, I have to say I'm not too fussed. I wouldn't say my hair is perfect now but I do personally think they've made a difference to my hair and I would definitely recommend trying them yourselves. I know there are more expensive products out there but these vitamins prove you can pay less and get just as good a product! My hair is a lot shinier and thicker and for only £3, I think it's an absolute bargain. The one thing I did hate about these tablets were the size of them. I'm a complete wuss when it comes to swallowing tablets and these were slightly too big for me and I did end up cutting them in half some mornings. As I've only been taking them for a month, I'll do an update post after all three months to see the difference. Aw no :( To be honest, this was why I wasn't interested in paying a lot for these vitamins in case they didn't work. I have been taking vita4life’s Hair skin and nail vitamin. They are FDA approved and clinically proven to deliver results. I have been using them for six months now and my hair has gained volumes and length and my skin has become soft. The capsules are without fillers so no side effects.